In the world of noir Los Angeles and New York seem to be the two cities used most often. 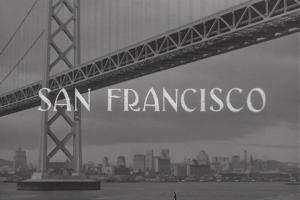 San Francisco may not have the numbers of the other two, but it sure has a lot of high quality noir and neo noir films based in this city. Here are the films I have already reviewed that appear in this video from RubyTuesday717 on YouTube.